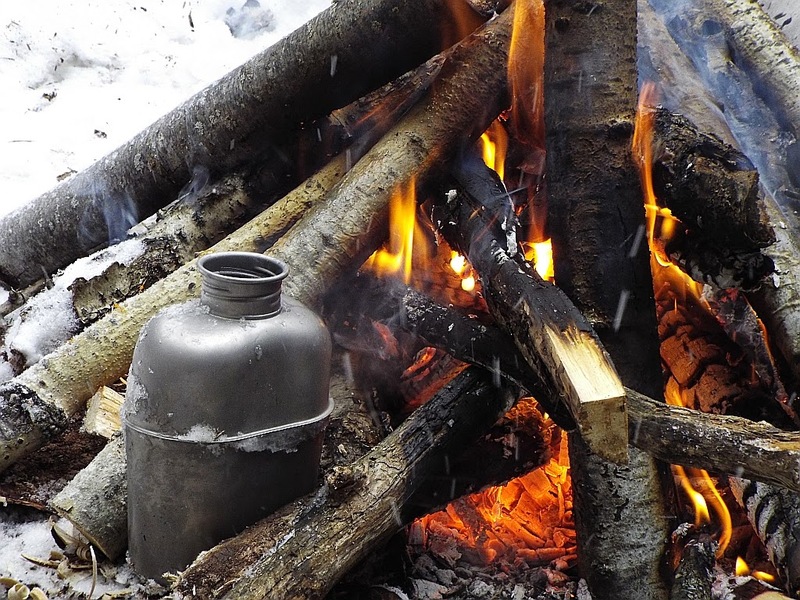 Looking for the best outdoor gear for camping, hunting and more? You're in the right place: find links to your favorite activities on the left. Facts: The human body is more than 60 percent water. Blood is 92 percent water, the brain and muscles are 75 percent water, and bones are about 22 percent water.To keep it all working right you've got to stay hydrated. 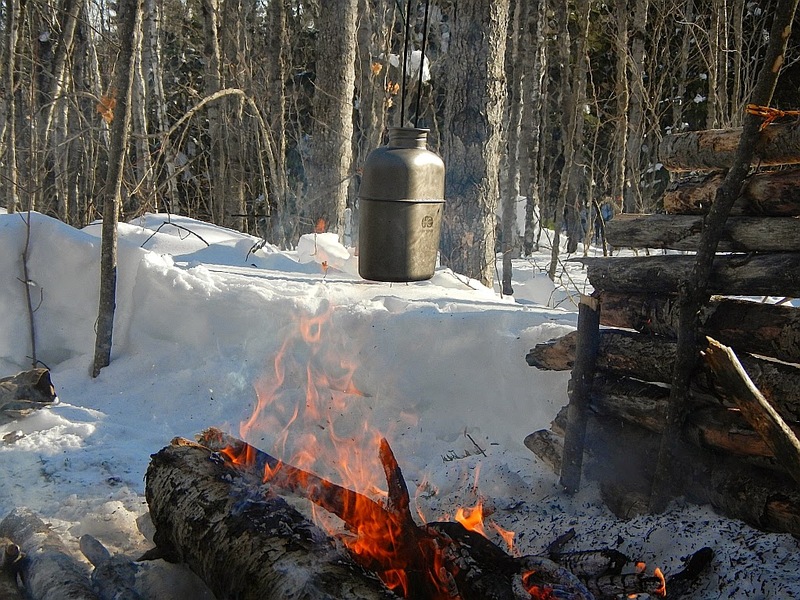 I've beat the snot out of it, dropped it down the sides of mountains, froze it, immolated it, I've done everything to this canteen and it done nothing but maintain and gain character. It has also gained my respect as a truly durable yet lightweight system capable of doing pretty much everything. 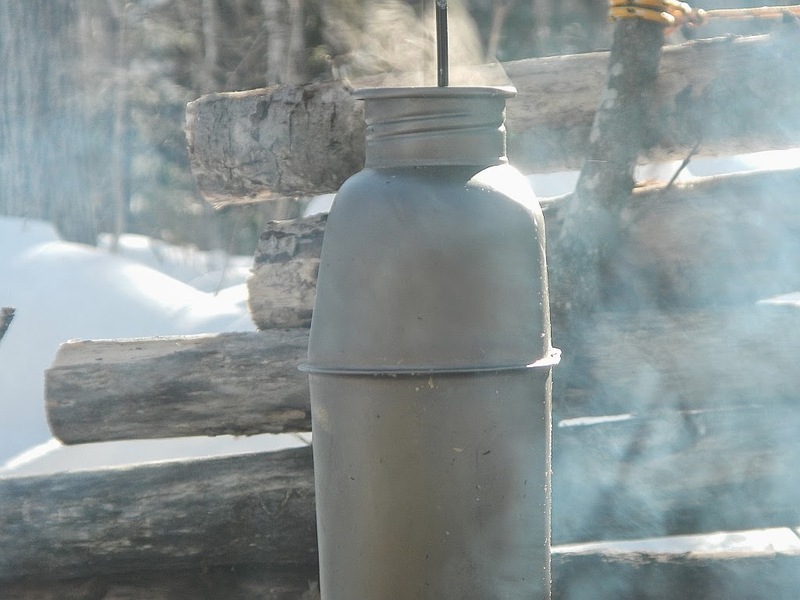 Rapid heat conductor , less gas/fuel and faster boil time. Canteen won't puncture or rip like plastic water bladders. As strong as steel but 45% lighter. Anti-corrosive and will not rust. Here's the system as it looked on the day I got it. And how it looks as of my last trip to the mountains with it. There are not that many things that I come into possession of that become 'the one' to support a need or activity. I'm not hitched to much gear but there are some pieces that just fit the bill and become a permanent fixture in my kit. 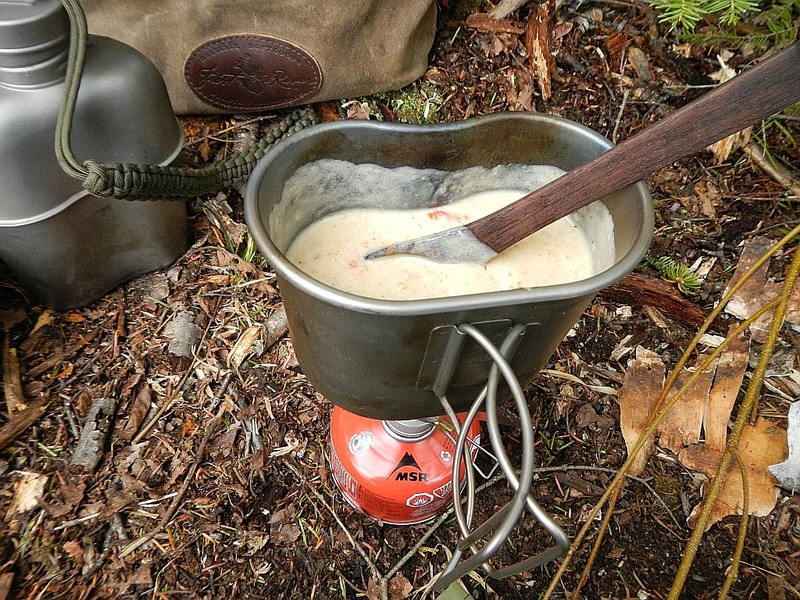 This canteen/cup combo has become one of those pieces. Why is it better than the alternatives? Weight, size, shape, versatility and durability is the short answer. 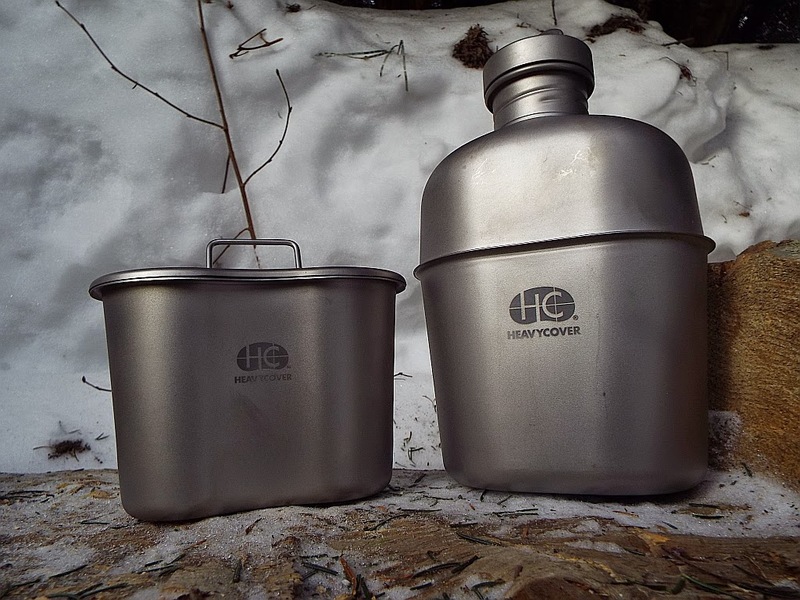 Weight, you're not going to find another cup/bottle combo with this capacity and lightness of weight. 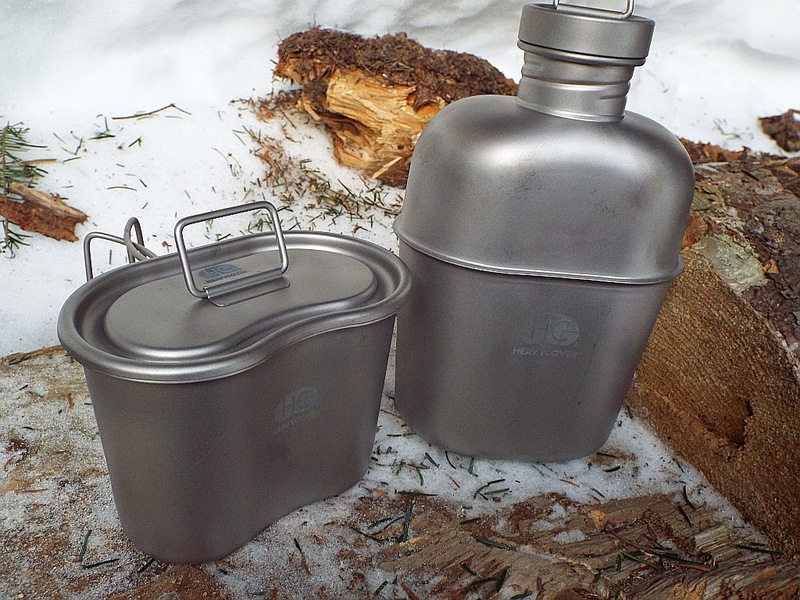 It fits in virtually any water bottle pocket thanks to its thickness but because it isn't as tall as most 40oz water bottles while it has that capacity, it sits lower in the pocket and is more secure. Because of the shape I find it easier to handle, more adaptable to pack pockets, I prefer it over the round bottles. I suppose stainless steel is nearly as robust but I have my doubts. I've dented stainless steel Kleen Kanteen bottles before, as hard as I've been on this, there are no dents. 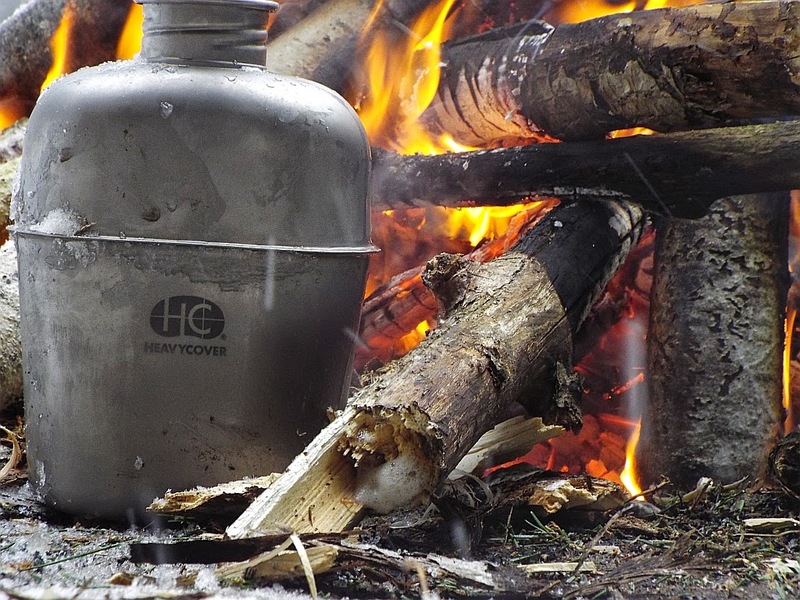 More durable than stainless and half the weight. One of the first things that comes up is the price. Currently $143, add another $10 for the Ti cap and you're sitting at $153. That's a lot of coin for a canteen/cup combo, but then I did the math. I've been buying titanium cook sets over the past several years, in search of a set that I really liked and was comfortable packing. In fact I've spent over $350 in the past three years on various bottles, cook sets, cups etc. None of them singularly or in combination really filled the niche. 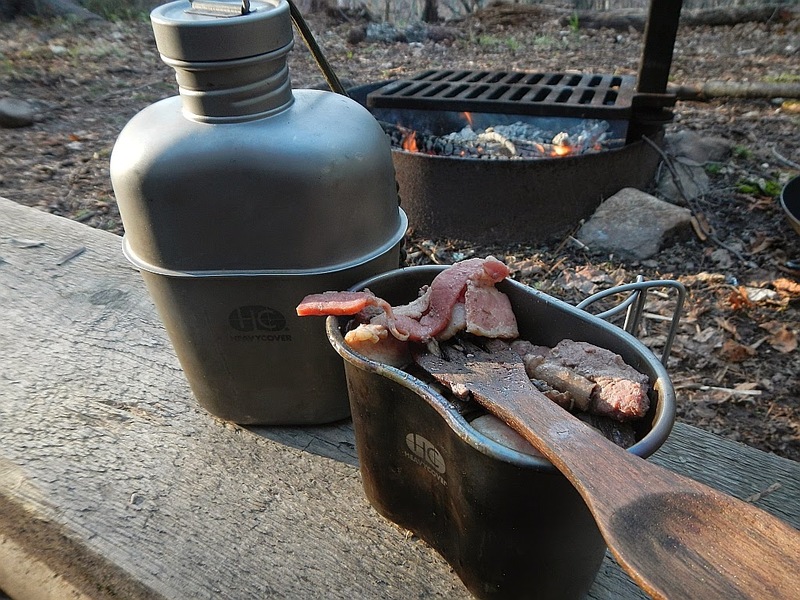 The titanium canteen/cup does and as a result I don't foresee buying more of the same in the future. Had I found the combo first I'd have saved money in the longer run, now I'll just save money in the longer long run! 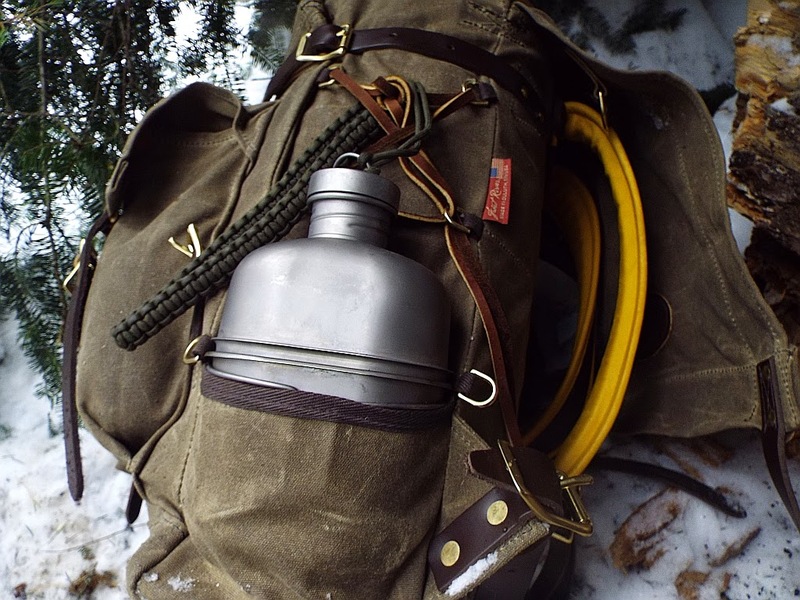 At 37oz the canteen has ample capacity but it isn't enough for a full day of heavy activity. Neither would a 40oz from Kleen Kanteen. You're going to want to add to it but 37oz is a good place to start. 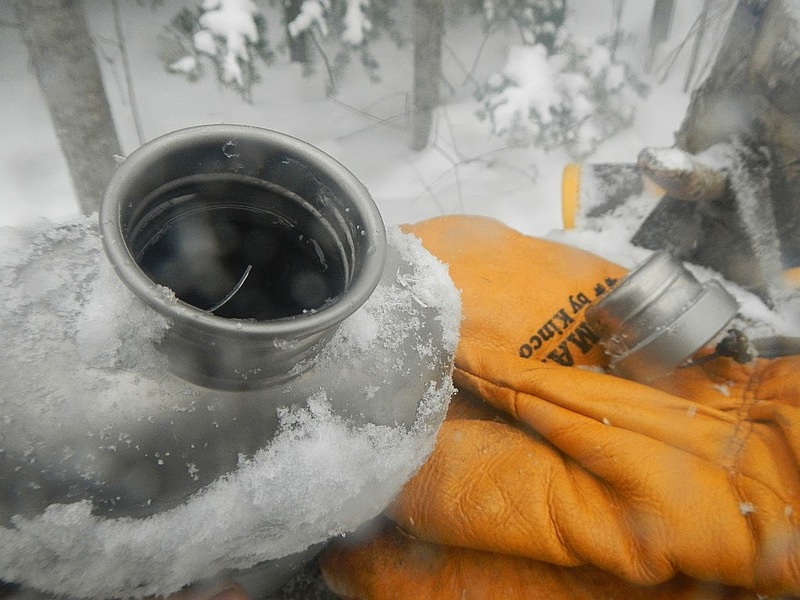 Once the winter is over a 100oz Source WXP will always be found in my pack and I do drink from it while on the move. 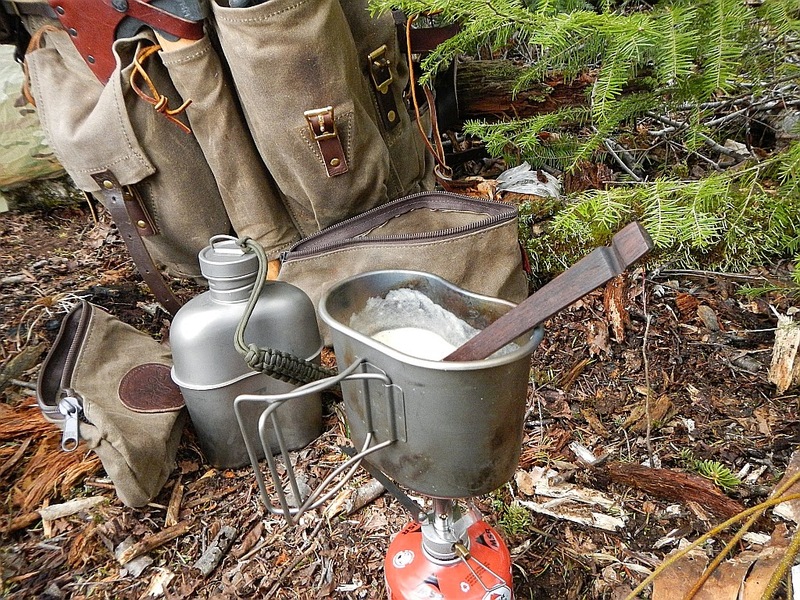 The canteen will suffice on short excursions and mostly around camp where I'm not wearing the pack and thus not the bladder. Something else. 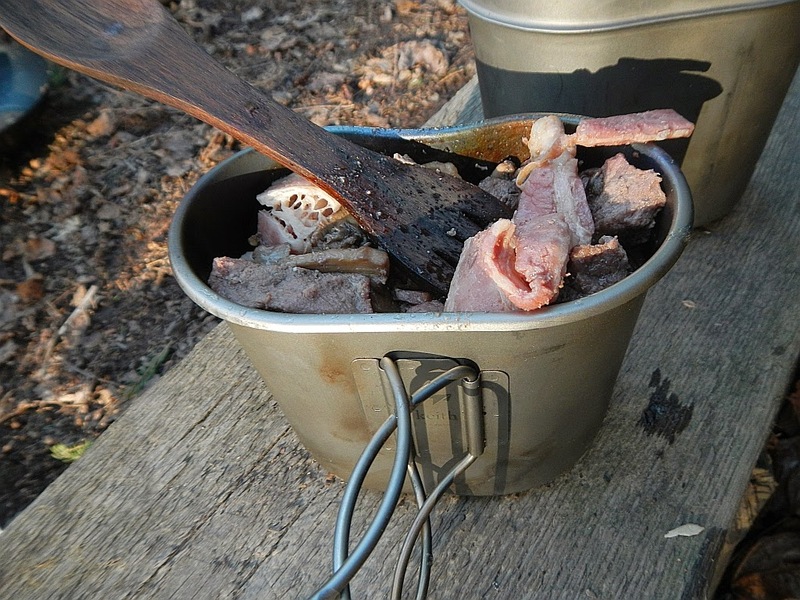 Even with stainless steel I would sometimes get foul smell or tasting water. I know what causes this, but not once have I had this happen with this canteen. Non once, even after storing water over a period of days. 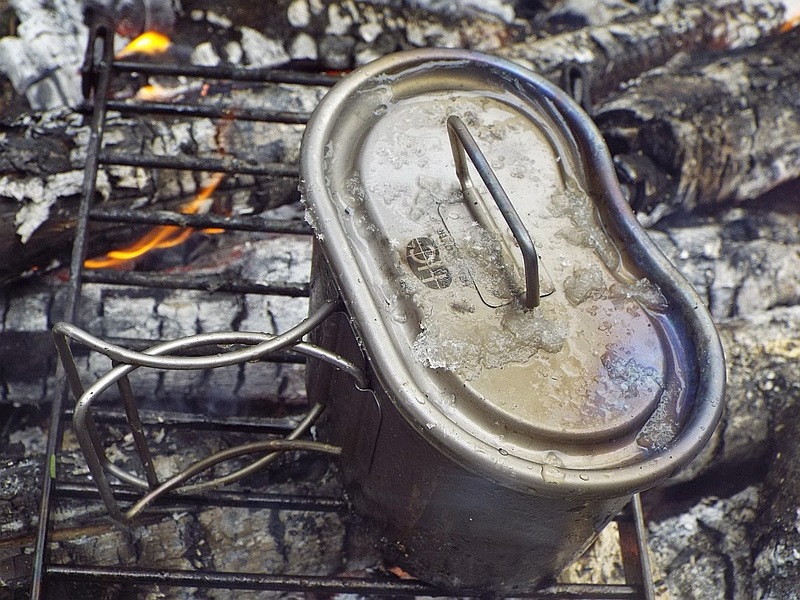 That was the recipe for badness when it came to stainless. 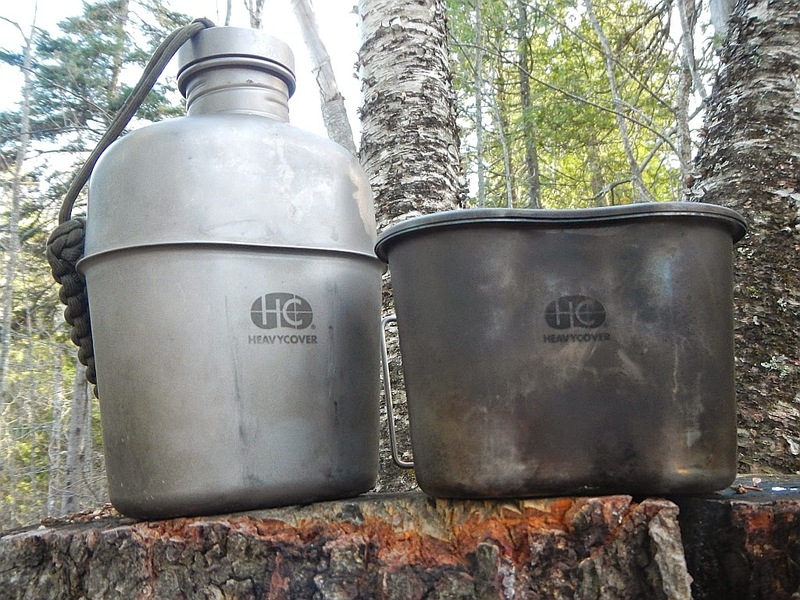 I never bothered using the stock plastic cap for the canteen, didn't like it's shape, weight, or design. The Ti cap is perfect. 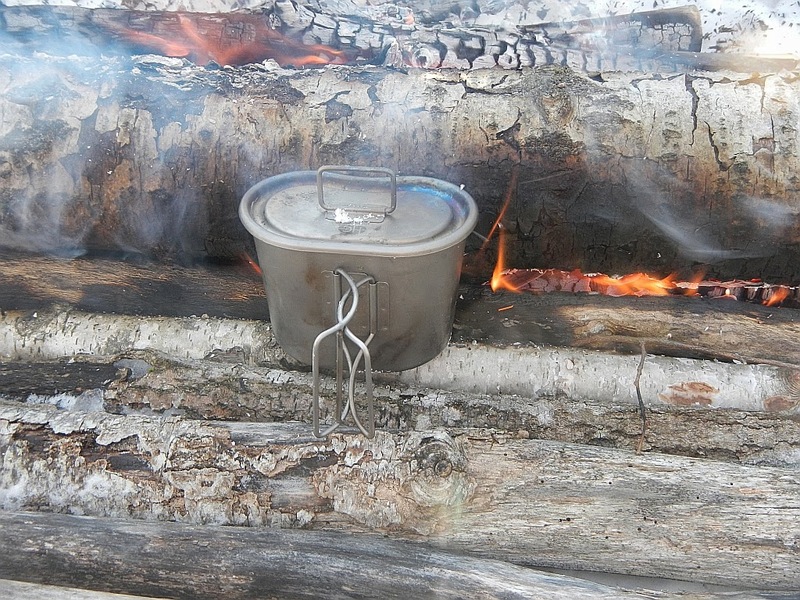 Cooking in the cup is a breeze, and not just cooking soups and whatnot, baking in it is possible too, thanks to the Ti lid and the ability to put coals on the top. Cleanup is easy, mostly I just wipe it out after a rinse. The only thing this set up won't do is fry sizable proportions but it can still get by. I've fried venison medallions in oil in the cup and it worked just fine. I'm one of those people who consistently looks for better gear, or gear that'll do to ride the river with. I don't often find gear that I can check the 'near perfect' box on. This is one of them though and I can't imagine switching from this combo to anything else. Most assuredly Backwoods Bum Approved!!! Sign up to get exclusive discounts, deals and promos on your favorite outdoor gear and equipment. 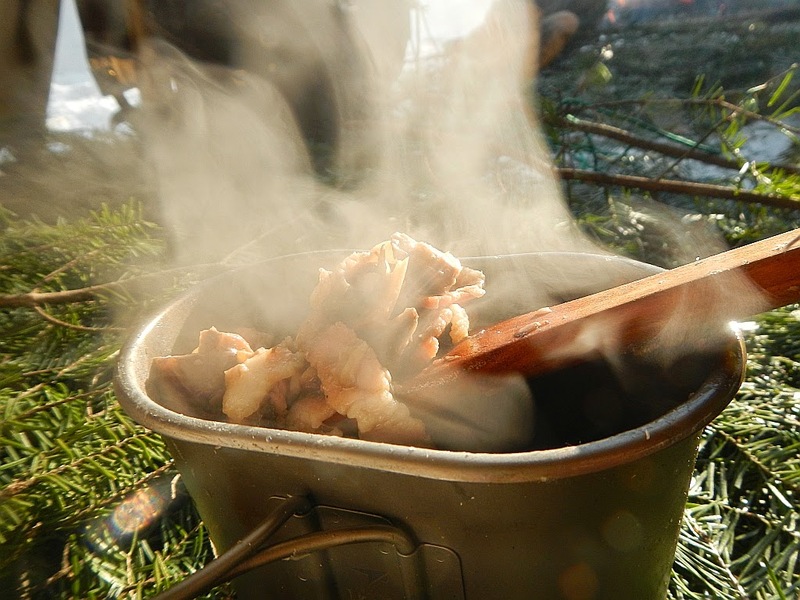 Outdoorsman.net is a participant in the Amazon Services LLC Associates Program, an affiliate advertising program designed to provide a means for sites to earn advertising fees by advertising and linking to Amazon.com.